If you didn’t work for Facebook and knew what we know about it today, how would you feel about your family using the platform? 2018 was rife with stories of Facebook’s privacy and security gaffes, and it’s already in hot water in the first month of this year. Too bad they’re not hurting its bottom line: the company announced during its earnings call last week that it’s still growing, and that it made more money than it did last year. It’s troubling that none of these incidents have caused the company to stumble. Think about how Facebook has evolved over the years, from a social network for college students to one of the world’s largest databases of information about people. It profits from invading your privacy and collecting data about you. And as a publicly traded firm, it has to keep working on ways to gather more data and continually monetize it. That means keenly monitoring teenagers’ activities on their phones in the name of market research, gathering metadata from your phone calls and texts, building profiles on internet users who aren’t even signed up to the social network, experimenting with emotionally charged content to see whether it could affect your mood, and encouraging unwitting first-time internet users in developing countries to sign up to a ‘free’ internet platform that only served up content from select sites. And Facebook doesn’t pull the plug on these initiatives until it’s called out. I get the sense that Sandberg is okay with anything the company does, so long as it’s not illegal. When she was asked why people should continue to trust Facebook after this, Sandberg reiterated that the people in the study knew that their data was being used. She then pointed to the earnings report, and talked about how much the company was investing in safety and security. 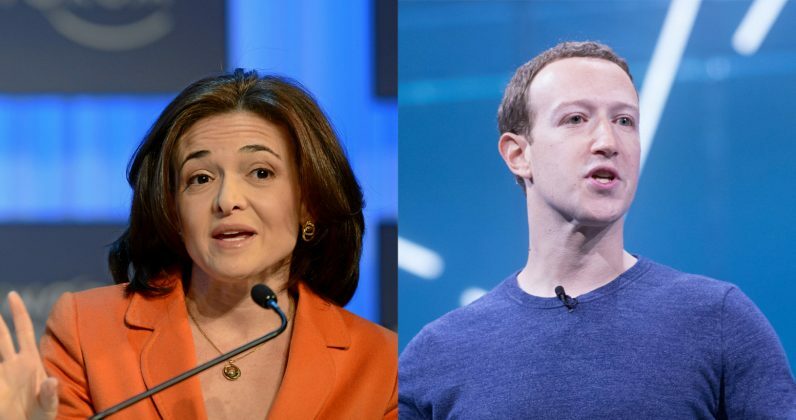 I appreciate that Sandberg & Co. must be under immense stress; some of the problems that Facebook is trying to tackle are truly difficult, especially when you consider the fact that its services have 2.7 billion users worldwide. And of course, it has shareholders that it needs to keep happy. But these recent scandals and missteps show that you can’t quickly make massive amounts of money without a whole lot of collateral damage. At some point, you’ve got to ask yourself whether this is how you want to do business.